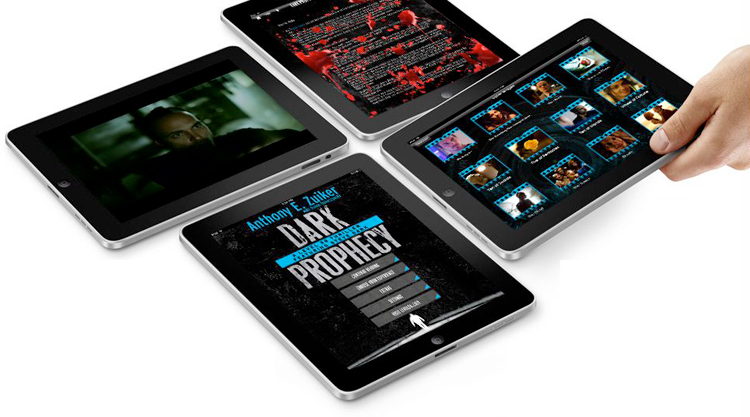 Dark Prophecy iPad App Incorporates A 400-Page eBook And An Hour-Long Film By CSI Creator, Anthony Zuiker [video] - iPhone.MY - Daily News On Mac, iPhone, iPads, iPods and more! Creator of the hit television series CSI, Anthony Zuiker, is launching a new iPad app that mixes novel storytelling with sensory perception and interaction. Level 26: Dark Prophecy incorporates an 400-page e-book and an hour-long film — both directed and written by Zuiker but designed by Hooray Society– that centers around a character named Steve Dark. Full version of the book Dark Prophecy, available in three modes: Traditional – Like any eBook this version is text only and does not include the cyber-bridges. Digi-Novel – Containing both text and live-action motion picture cyber-bridges integrated into the reading experience, this option gives you a richer, more immersive experience. Ultimate Digi-novel – Giving you everything the ‘Digi-novel’ has to offer, this option is the ultimate cross-platform experience. While consuming the text and cyber-bridges, this option allows you to collect character bios and evidence as you work alongside Steve Dark to catch the Tarot Card Killer. The one-hour ‘cyber-bridge’ film, written and directed by Anthony E. Zuiker, that takes you deeper into the character of Steve Dark. Collect evidence and listen to Steve Dark’s analysis. Behind the scenes videos on the making of Dark Prophecy. An Icon and a Creator: An interview with Anthony E. Zuiker and Ann-Margret. Best Buy to deploy iPad to salesforce?